Here we are and Day Nine takes us into the core of the fiction, what was the bit of tech that made you "Ooooh" and "Ahhhh" the most during the last 49 years? Maybe it was the phaser, the transporter or perhaps those cute and cuddly Exocomps from The Quality of Life. Perhaps you're a fan of Borg nanoprobes and their ability to assimilate or heal - or whatever Brannon Braga wanted them to do that week. You might even think the Enterprise grappler was forward-thinking. I have to backtrack to an answer from earlier in the challenge for my choice on this one and it's the seldom-seen (two episodes) and blatant plot-device that was the holo-communicator. First seen in the brilliant For the Uniform and last seen in Dr Bashir, I Presume?, the holo-communicator took the holodeck to a new level where those static viewscreen conversations could be brought to life and help bring more energy to a scene. 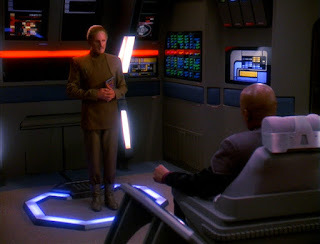 In the case of For the Uniform it's there so the conflict between Sisko and Eddington isn't just head-shots on the Defiant viewer and it works extremely well, making their conversations carry just that bit more edge which helps power a great episode. As explained in the Deep Space Nine Companion Gary Hutzel explains that it was ditched because it was expensive to shoot and just looked like the guy had beamed in. 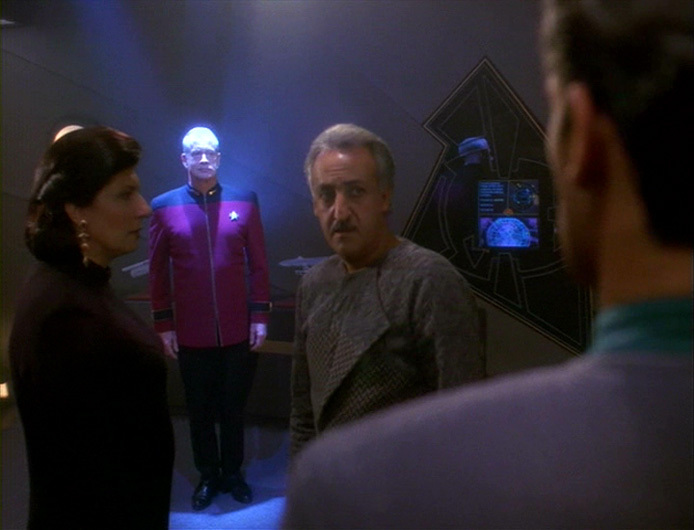 I have to agree that it just looked like Eddington, Odo or Sanders were standing in a blue-edged box on the bridge and not like a hologram at all. A great and cool idea but something that was, perhaps rightly, consigned to the bin pretty quickly since it also might have caused unforeseen story problems in the future. There was a reason Gene Roddenberry chose to communicate via the viewscreen y'know!!! Fan of the holo-communicator or would you rather have Chang's cloaking device? 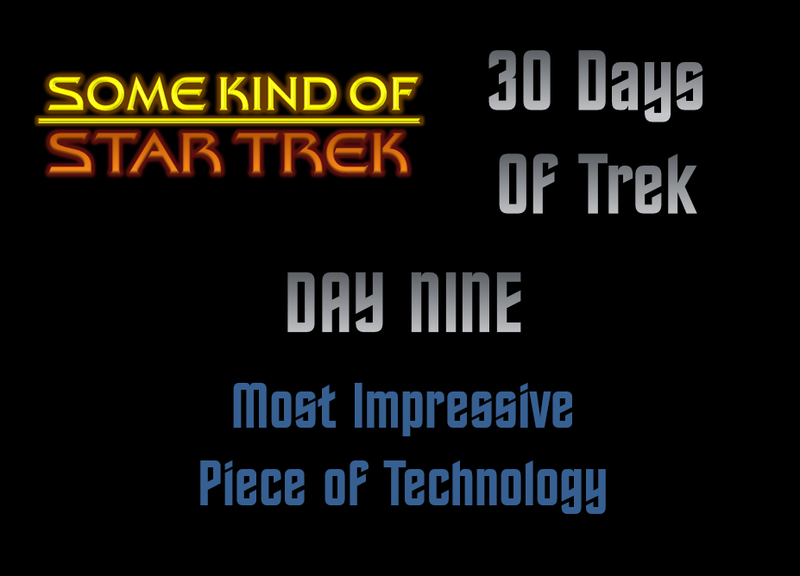 Follow 30 Days of Trek and join in with the daily challenge across the SKoST social media platforms! I'll be back at 1pm TOMORROW with the tenth question!